This past weekend’s SNL could have been the funniest of the season and it probably wouldn’t have mattered. That it wasn’t the funniest of the season also will not matter years from now. No, what this episode is being talked about for, the reason that it will ultimately be remembered, is that it featured the first public meeting between Jesse Eisenberg and the social network magnate he portrayed to the tune of a Best Oscar nomination. It was a worlds colliding, fabric of the universe fraying, I’m seeing double (four Zuckerbergs! ), moment (although Andy Samberg’s presence as a tertiary Zuckerberg carried much less weight and meta-significance). It was awkward, sure, but that was by design, as the two ‘bergs, Eisen and Zucker, seemed rather comfortable with each other, indeed, giving the sense that they may, in fact, be bros. The tone was less confrontational and more self-congratulatory, as if Eisenberg and Zuckerberg had successfully pulled the wool over our eyes, that the real Zuckerberg is not an unnaturally focused, perennially scowling, monotone misanthrope, but a laid back, dorky, goofball visionary, and that perhaps Zuckerberg was in the on the joke the whole time. Now, that’s not the case, but if there’s any sense of animosity between the two ‘bergs, then Zuckerberg is a far greater actor than anyone is giving him credit for (and by all accounts he’s a terrible, terrible actor). 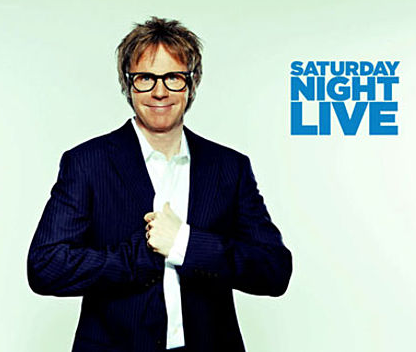 But, more importantly, what does this mean for SNL? And for Mark Zuckerberg? And WAS anything funny? Fred Armisen and Carrie Brownstein have created a terrific little sketch comedy show with Portlandia. The IFC show (executive produced by Lorne Michaels, because the only way an SNL cast member is allowed to do anything away from the show is if Michaels is involved) is a breath of fresh northwest air. And they made a very savvy choice recruiting Armisen’s SNL castmate Jason Sudeikis for the pilot, casting Sudeikis as successful organic farmer/charismatic cult leader Aliki. And, as usual, Sudeikis lit up the screen. But go watch the sketches that they have posted, and make sure to watch the new episode tomorrow night!